The Chaos is designed to win competitions. Surpassing all expectations, the Chaos can handle your training workload and deliver results. Its aggressive, high aspect C-shape design gives you the pop and line slack you need to make unhooked tricks effortlessly. Its superior wind range is a big advantage over its rivals. Extended suspension lines add support to the leading edge to maintain arc shape and add flight stability. This ensures torsional freedom and movement to the kite for a stable and supported ride. Tuned perfectly for freestyle, it flies through turns rather than pivoting through the wing tips. You can throw a kite loop with the tightest arc possible. 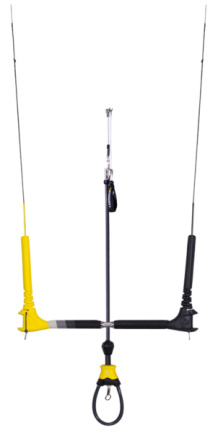 Its bar pressure stays light but delivers the right amount of feedback to let you know where the kite is at all times. New to the 2016 model are its customizable steering options for either quicker turns, or a more stable kite position for handle passes. 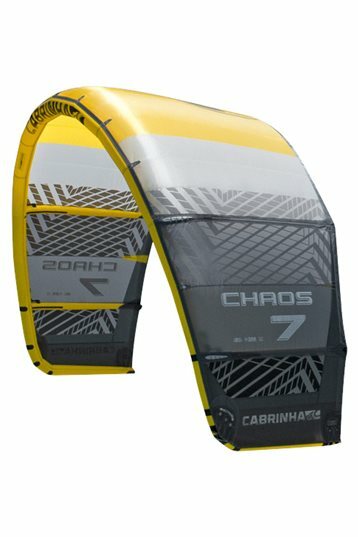 So after seeking for a new kite I end up with the Chaos 2016. Why? 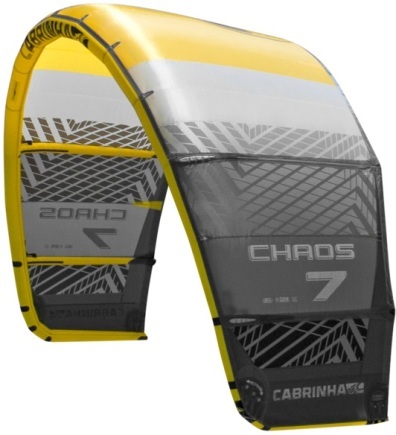 Well I got very good price for my Kites, tested some C kites and realised that I have fun with them. Untypical is that the C kite have 6 not 5 lines, which was a main point for this Kite. Don´t like 5 liners. The 6 lines are actually a "fake" because it is an 4 lines kite with no pullys. Which mean that the frontlines are separeted which ends up in 6 connection points, instead of 4. The plus is here, you can use different setups for low or high-end wind conditions, which works really good. Also for more bar pressure, drifting etc. For a C kite the Chaos is quite forgiving but have an good bar pressure what I like, by beeing quick responsible and reacting. Due the different adjustments the windrange is suprising for the 13. but also for the other sizes. Relaunch is typical for a C kite - not so easy as with a delta/ bow kite but still ok.
Depower is good and in gusty conditions the kite still good to control. I started my first unhooked tricks her so nothing to compare to unfortunatelly. For sure you need a good technic by going high and landing as well as staing in the air. According to the Woo 3.0 my record is around 7 seconds hangtime by about 6 meters high, without any loop. Due the kite have no pullys and the lines are straight connected, the Chaos as an typical C kite is quite direct and quick. Had to learn that to find the right moment for the perfect pop and jump, but also landing. If you loose tensions in the lines, what is good for some tricks, but not by big jumps, then you have to stear harder ant the kite response wys slower. Also something that works bit different then to my old delta/ bow kite. While going big it lift you realy fast up, I like it and it is lot of fun if you know to handle it. Also in the air, while bit moving the Chaos it will give you a good hangtime and a good landing. Whole in one, still getting used to the C shape and the Chaos but I really like the lift, the reasonable bar pressure, that it still forgive mistakes and work good in gusty conditions. Lot of adjustment setup which is great. Too bad Cabrinha took it away from the range by 2019.